Population: 2,300. Hurstville Grove is located 19 kilometres south of the Sydney CBD and is part of the St George region. Stretching from Hillcrest Avenue to the shore of Oatley Bay on the Georges River, it lies across the local government area of the City of Hurstville. The area was granted to Captain John Townson and his brother Robert in 1808, however the brothers were not happy with the heavily timbered land as it was not suitable for the farming of sheep for wool. Eventually the land was sold to Michael Gannon in 1850 and became known as Gannon’s Forest. When the railway arrived in 1884 the station took the name Hurstville from the local school. Hurstville Grove offers a limited number of prestige waterfronts, combined with high quality family homes, villas and townhouses. One of the smallest neighbourhoods in the area, Hurstville Grove is more than just a suburb, but a community way of life. 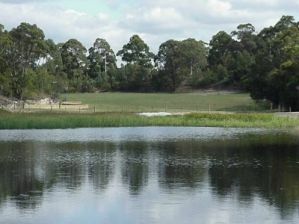 A number of parks and reserves are scattered throughout the suburb including a beautiful waterfront reserve on Oatley Bay. With cricket nets, basketball and tennis courts and just a stones-throw from Moore Reserve Wetlands (oatleypark.com/mooreresfauna) and the busy hub of Hurstville and Westfield Shoppingtown (westfield.com.au/Hurstville), Hurstville Grove offers its residents a strong sense of community spirit and family values. © Ray White Oatley. Based in Oatley.